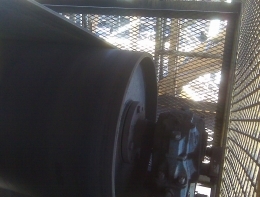 Arrowhead Drive and Non-Drive Pulley Lagging is the solution, in an application where rubber is the answer, to help eliminate slippage, increase pulley life and to improve production. A specially formulated combination of synthetic, natural, and neoprene rubber compounds provides our pulley lagging with excellent gripping strength and abrasion resistance. 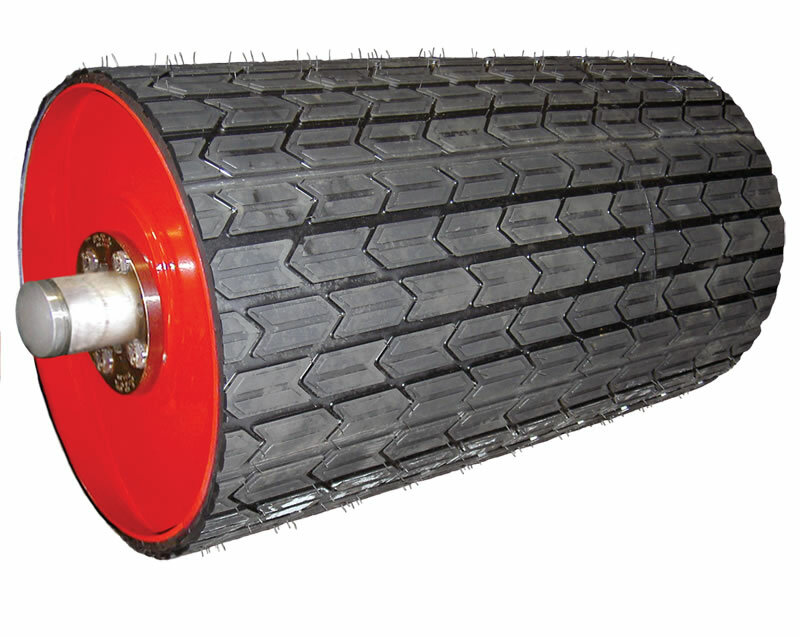 Increase Productivity – by delivering increased traction between the conveyor belt and pulley, and increasing pulley life and reducing buildup. 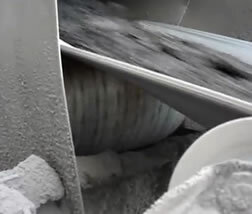 Improved Conveyor Belt Tracking – due to the Arrowhead patterns self-cleaning ability, which reduces material carry-back build up and thereby eliminates the major source of misalignment. 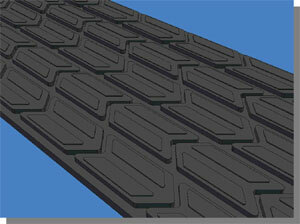 Superior Wear – ability in abrasive or highly wet or dry applications as seen in below ground and above ground mining. Bonding Strength – that is superior to others, due to 3mm of our neoprene compound vulcanized into bottom-side of the lagging. Easy Installation – can be done in place, on plant site, at your local distributor or at the pulley manufacturer. Each roll is ½” or ¾” thick x 10” wide by 21.3’ long. 300’ (90m) long rolls will be available in January of 2006.